In spite of model, freezers must cool at the right temperatures. When they don’t, there is a problem with their parts. And this is not the only problem caused when freezer parts break down. The appliance might also leak, over cool, or don’t work at all. In the meantime, you might lose energy and risk your health by consuming abruptly thawed food. Let our kitchen appliance experts help you with problems. 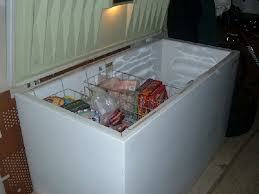 Call us today for freezer repair in Long Beach, California. With expertise in kitchen appliances and particularly refrigeration units, we guarantee effective freezer repairs in the Long Beach area. Call us no matter what the freezer problem is. Skilled to troubleshoot and accurately detect problems, our pros can make a quick diagnosis and offer solutions. Is your freezer not cooling as it should? Is it over cooling? Such problems are often indications of clogged, broken, and worn parts. Our tech will replace them in a heartbeat. Of course, you are always given an estimate and are informed about the service. In any case, trust that Appliance Repair Long Beach CA will be there to help in no time. Although we provide same day repair, we are also here to offer preventive freezer service. Nobody wants problems with such appliances. They are some of the most important ones in the kitchen. Call us if your freezer won’t shut well. We can check the reason for the problem and replace the door gasket if it’s worn. Such problems won’t only keep the freezer from working right but also waste energy. With our maintenance service, we prevent such issues and fix them up before they give you worse trouble. Give our company a call if you want expert and prompt freezer repair Long Beach service. We will assist you today.